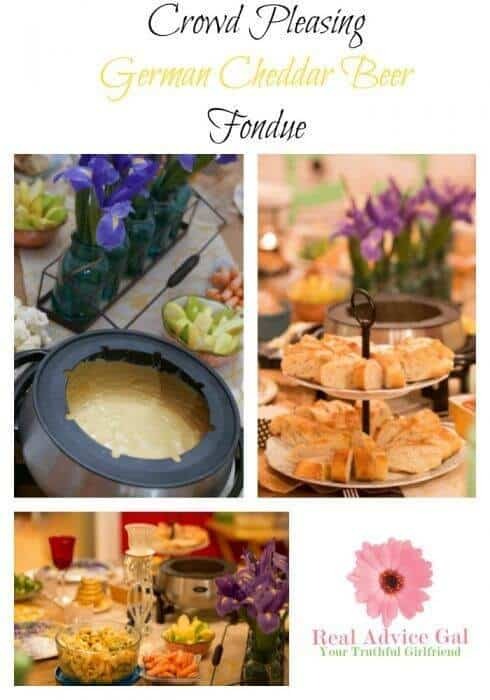 I love a good fondue. In fact, I could eat Fondue every night of the week if you let me. 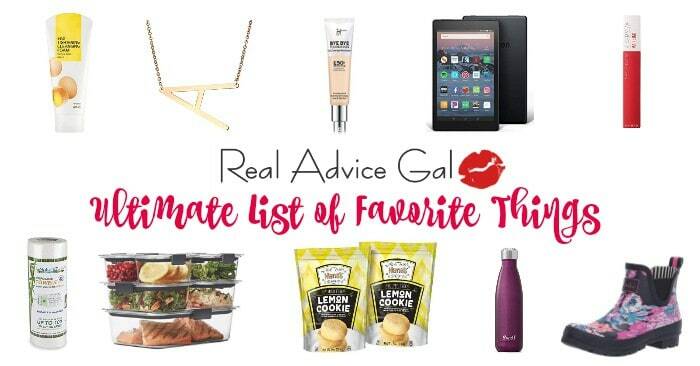 I especially like German Cheddar and Beer Fondue. You know what they say when daddy is away the kids will play. Well, Daddy gets to go out with clients, so tonight it is me and the three kids. The biggest problem we currently have is Margeaux leaves the table with her dinner in her hands. She does this because she wants to be there when I feed the baby. I figured if I made an interactive meal tonight my house and myself may have a chance at survival. I will be using apple juice as my base instead of the beer. We will be dipping the following: hot dogs, bread, broccoli, apples, carrots, and pretzels. I am sure the kids will pick other things out as well. This should make for a fun time. I always give them their dipping cup which I transfer the cheese from the fondue pot. I let it cool before giving them the cup to make sure it isn’t hot. What do you do when the help is out to dinner elsewhere? Combine cheeses in a bowl with flour. Add beer to a small pot and bring up to a bubble over medium heat. Reduce the heat to a simmer and add cheese in handfuls. Stir constantly, melting the cheese in batches. Stir in a figure-eight pattern with a wooden spoon. When the cheese has been incorporated fully, stir in the mustard, hot sauce, and Worcestershire sauce. 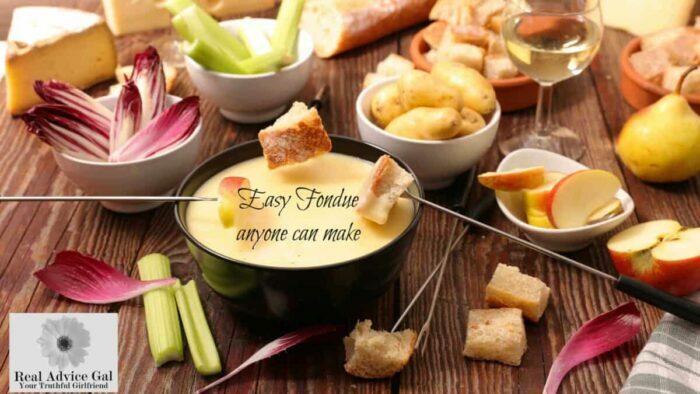 Transfer fondue to warm fondue pot.